10 BEEN MARKED EXHIBIT 136, DOES IT APPEAR FAMILIAR TO YOU? 12 Q. WHAT DOES IT SHOW? 14 LOOKED AT, THE BLUE-GRAY NYLON FIBERS. 22 OF THE DEFENDANT’S WASHING MACHINE. 24 OF THOSE TWO FIBERS IN PHOTOGRAPH “A”? 27 COME FROM THE LAUNDRY INSIDE THE WASHING MACHINE IN MR.
3 GO AHEAD AND TELL US WHAT PHOTOGRAPH “A” SHOWS. 7 THAT’S BOUNCED OFF OF THE FIBER FROM ABOVE. 8 Q. THIS WOULD BE UNDER LOW MAGNIFICATION? 12 HELPFUL IN DESCRIBING WHAT YOU SAW IN MAKING YOUR COMPARISON? 14 THE BIG THINGS, THAT THESE TWO FIBERS ARE SIMILAR TO EACH OTHER. 15 Q. WHAT ABOUT PHOTOGRAPH “B” ON EXHIBIT 136? 16 A. PHOTOGRAPH “B” WE’RE LOOKING AT THE SMALL THINGS. 27 THINGS OR THE MICROSCOPIC CHARACTERISTICS ARE ALSO SIMILAR. 17 CHEMICALLY AND, THEREFORE, THEY COULD SHARE A COMMON SOURCE. 18 Q. WHAT TYPE OF FIBER WAS THIS? 19 A. THIS IS A NYLON FIBER. 20 Q. WERE THEY SIMILAR IN SIZE? 22 Q. WERE THEY SIMILAR IN DIAMETER? 1 SIGNIFICANCE OF THE SIMILARITY OF JUST A SINGLE FIBER? 2 DOES THAT QUESTION MAKE SENSE? 3 A. COULD YOU REPEAT IT? 4 Q. SURE, LET ME TRY IT AGAIN. 7 FROM THE NECKLACE AND VARIOUS FIBERS. 11 YOU MAY CONCLUDE YOUR QUESTION. 20 MR. WESTERFIELD’S RESIDENCE, CORRECT? 21 MR. FELDMAN: YOUR HONOR, EXCUSE ME, SAME OBJECTION. 22 THE COURT: DULY NOTED. 24 THE WITNESS: THAT’S CORRECT. 7 THAT SIMILARITY IN THIS CASE? 8 A. YES, THERE IS. 9 Q. TELL US WHAT THAT IS. 12 THAT MAKE THEM MORE AND LESS SIGNIFICANT. 20 INCREASES THE SIGNIFICANCE OF THE FIBER COMPARISON. 22 ANOTHER FORM OF TRACE EVIDENCE, CORRECT? 26 TO FIBER EVIDENCE AS YOU’VE PREVIOUSLY DESCRIBED IT? 28 MR. FELDMAN: VAGUE, OBJECTION. 1 THE COURT: DO YOU UNDERSTAND THE QUESTION? 3 THE COURT: YOU MAY ANSWER. 4 THE WITNESS: TRACE EVIDENCE MORE IS CERTAINLY BETTER. 13 OTHER UP, SO IT BECOMES MORE SIGNIFICANT. 17 MR. FELDMAN: YOUR HONOR, COULD I ASK PLEASE WHAT’S 132? 3 EXHIBIT 137. DOES IT APPEAR FAMILIAR TO YOU? 5 Q. WHAT DOES IT SHOW? 13 WAS REMOVED FROM THE VICTIM. 14 Q. ALL RIGHT. I’M SORRY, GO AHEAD. 16 ANALYZED FOR WHICH ONE OF THESE ITEMS OF EVIDENCE. 19 CHART THAT WAS RESTRICTED SIMPLY TO FIBER EVIDENCE? 26 HAIR CONSISTENT WITH THE VICTIM’S DOG. 2 HEAD HAIR, THAT MICROSCOPICALLY WAS CONSISTENT WITH THE VICTIM. 4 ACTUALLY, LET ME REPHRASE IT. 8 IT COULD HAVE COME FROM DANIELLE VAN DAM. 16 Q. CAN YOU ELABORATE ON THAT? 26 FROM ON TOP OF THE CLOTHES DRYER. DO YOU SEE THAT ITEM? 1 ACRYLIC FIBERS; IS THAT CORRECT? 3 Q. AS WELL AS THE ONE BLUE-GRAY NYLON FIBER? 8 CONSISTENT WITH HAVING COME FROM THE VICTIM’S DOG. 13 AND BLUE FIBERS FROM THE LAUNDRY TO THE VICTIM’S ENVIRONMENT. 14 THE DOG HAIR MAKES THAT MORE SIGNIFICANT. 17 TOGETHER THEY ARE MORE SIGNIFICANT. 21 AND TWO BLUE-GRAY NYLON FIBERS; IS THAT CORRECT? 7 SIGNIFICANCE TO YOUR FINDINGS OF FIBERS IN ITEM 7? 8 A. YES, IT DOES. IT’S THE SAME CONCEPT AS IN ITEM NO. 11 COMPARISON BECOMES MORE SIGNIFICANT. 15 NUMBER; IS THAT CORRECT? 27 OF THE FIBERS TO BE MORE SIGNIFICANT. 1 WHEN YOU ADD THEM TOGETHER THEY’RE MORE MEANINGFUL. 10 YOU HAVE ALL FOUR OF THOSE THINGS IN THIS ENVIRONMENT. 15 IT DOWN INTO THE INDIVIDUAL ITEMS. 23 I’M SORRY, MA’AM. GOOD MORNING. 5 WHERE THEIR BELONGINGS ARE. 6 Q. LIKE A HOUSE? 7 A. LIKE A HOUSE. 14 Q. WERE YOU IN THE WESTERFIELD RESIDENCE? 18 DOWNSTAIRS OF THE RESIDENCE? 19 A. IT LOOKS VAGUELY FAMILIAR. 22 SUCH AS THAT YOU’VE BEEN REFERRING TO; IS THAT CORRECT? 28 Q. IS A DANCE FLOOR AN ENVIRONMENT? 1 A. A DANCE FLOOR? 3 A. SUPPOSE IT COULD BE. 5 A. I SUPPOSE IT COULD BE. 8 RECOGNIZE WE’RE ALL OVER IN TERMS OF EXHIBITS, I’M SORRY. 9 THE COURT: 31 — 30, 31. 15 DID YOU GO THERE? 18 OR “C” OR “D” OR “E” AS AN ENVIRONMENT? 22 RESTAURANT, A CAR, A RESIDENCE, IS THAT RIGHT? 2 Q. PRESENCE OF POTENTIAL COMMON TRACE EVIDENCE? 3 A. TRANSFERRED BETWEEN THEM? 9 MIGHT YOU FIND SOME OF YOUR ENVIRONMENT IN MY HOUSE? 15 EVIDENCE FROM ONE POINT TO ANOTHER; ISN’T THAT CORRECT? 20 HOUSE, AND YOU DISCOVER YOUR ENVIRONMENT IN MY HOUSE, RIGHT? 23 RELATIONSHIP OTHER THAN THAT ONE ENCOUNTER, CORRECT? 28 TRACE EVIDENCE THAT WAS ON YOU ATTACHED TO ME? 1 MR. CLARKE: OBJECTION, ASSUMES FACTS NOT IN EVIDENCE. 13 MR. CLARKE: SAME OBJECTION, ALSO CALLS FOR SPECULATION. 15 YOU BETTER APPROACH THE BENCH, MR. FELDMAN. 4 BACK OR SHOULD I RETRY THE HYPOTHETICAL? 5 THE COURT: JUST DO IT AGAIN. 15 1ST IN THE EVENING ABOUT 10:30 P.M. YOU AND I WERE DANCING. 18 CHILDREN TO YOUR HOUSE. THEY RAN AROUND YOUR HOUSE AND WE LEFT. 22 A. THERE CERTAINLY COULD BE. 26 PUBLICATION BY ROBERTSON AND GREEVE? 10 100 FIBERS COULD TRANSFER, IS THAT RIGHT? 12 BUT THAT’S A POSSIBILITY. 13 Q. CAN YOU TELL ME WHAT’S A FIBER? 14 A. WHAT IS A FIBER? 18 TO CREATE YARDS OR THREADS AND USED TO CREATE FABRIC. 19 Q. HOW ARE FIBERS MANUFACTURED? 23 MANY DIFFERENT TYPES OF FIBER PROCESSES. 25 HUNDREDS OF THOUSANDS OF YARDS AT A TIME; IS THAT RIGHT? 28 THE UNITED STATES AND THE WORLD, IS THAT RIGHT? 4 A. THE MOST COMMON FIBER IS COTTON. 7 MR. CLARKE: OBJECTION, MISSTATES THE EVIDENCE. 9 YOU NEED NOT RESPOND. 15 MR. CLARKE: OBJECTION, MISSTATES THE EVIDENCE. 17 MR. FELDMAN: I’M SORRY, ON THAT GROUNDS, YOUR HONOR? 18 THE COURT: YES. ASK HER WHAT SHE THINKS, COUNSEL. 21 Q. DO YOU THINK ACRYLIC IS THE MOST COMMON FIBER? 22 A. ACRYLIC IS THE MOST COMMON? COTTON. 23 Q. IS THAT THE MOST COMMON AMONG FABRIC EXAMINERS? 25 Q. DO YOU KNOW TANYA DULANEY? 26 A. YES, I DO. 27 Q. DO YOU KNOW IS SHE A FIBER EXAMINER? 28 A. SHE’S A TRACE EVIDENCE ANALYST, YES. 2 ANALYST AND FIBER EXAMINER? 4 TRACE EVIDENCE WHICH WOULD INCLUDE FIBERS. 11 TRANSFEROR OR TRANSFEREE ARE WEARING? 12 MR. CLARKE: OBJECTION, I THINK THAT’S UNINTELLIGIBLE. 13 THE COURT: THE QUESTION IS WHETHER YOU UNDERSTAND IT. 14 THE WITNESS: I DID. 15 MR. FELDMAN: SO, I GUESS IT WAS INTELLIGIBLE THEN? 16 THE COURT: THEN YOU MAY ANSWER. 20 Q. OKAY. ASKED FOR THAT, TOO. 22 RECEPTIVE TO ACCEPTANCE OF TRANSFER OF FIBERS THAN OTHERS? 3 SOME KIND OF GARMENT THAT HAS FIBERS THAT ARE EASILY SHEDDED. 5 TACKINESS OR SOME KIND OF TEXTURING THAT WILL HOLD FIBERS. 17 OF FIBER COMPARISONS INCLUDES THE POSSIBILITY OF CONTAMINATION? 28 MR. CLARKE: OBJECTION, VAGUE AS TO WHO. 1 THE COURT: NO. HE’S TALKING BROAD GENERALITIES. 2 YOU MAY ANSWER IN TERMS OF BROAD GENERALITIES. 9 VALUE OF THE PARTICULAR FIBERS? 10 MR. CLARKE: OBJECTION, NO FOUNDATION. 12 YOU NEED NOT ANSWER. 18 LIKELIHOOD OF A FIBER TRANSFERENCE? 19 MR. CLARKE: OBJECTION, ASSUMES FACTS NOT IN EVIDENCE. 21 YOU CAN ANSWER THAT. 3 MR. CLARKE: SAME OBJECTION, ASKED AND ANSWERED. 4 THE COURT: IT’S BEEN ASKED AND ANSWERED. SUSTAINED. 8 ABOUT, WHAT’S THEIR SOURCE? 12 SOURCE THE VALUE OF THE EVIDENTIARY FINDINGS IS REDUCED? 20 MACHINE AREA ORIGINATED FROM THE SAME ENVIRONMENT, CORRECT? 25 RECOVERED FROM THE NECKLACE ON DANIELLE VAN DAM, CORRECT? 28 MATCHED, CORRECT? YOU DID NOT SAY THAT? 2 DIFFERENT WAYS THAT WE COULD TEST THEM. 7 YOU’RE TAUGHT ABOUT; ISN’T THAT CORRECT? 8 MR. CLARKE: OBJECTION, FOUNDATION, ALSO RELEVANCE. 18 MR. CLARKE: OBJECTION, UNINTELLIGIBLE. 19 THE COURT: DO YOU UNDERSTAND THAT QUESTION? 21 THE COURT: YOU MAY ANSWER. 9 MR. CLARKE: I’M SORRY, I DIDN’T SEE IT. 13 MA’AM. I KNOW BECAUSE I GOT THE REPORT FROM YOU. 16 YOU THE FRONT PAGES IF YOU NEED THEM? 17 A. I HAVE THEM. THANK YOU. 18 Q. OKAY. LET ME SEE IF I CAN FIND THE PICTURE. 21 EXHIBIT TAG 45D THAT SHOWS THE NO. 6; IS THAT RIGHT? 25 FROM THE AREA OF 6, IS THAT RIGHT? 8 WERE FRESHER IN YOUR MIND THAN THEY ARE TODAY? 19 SIGNIFICANT IN CONNECTION WITH YOUR WORK ON THE CASE? 20 A. AS FAR AS I KNOW, YES. 23 TO ASK YOU ABOUT IT. 24 MR. CLARKE: OBJECTION, ARGUMENTATIVE IN THE PREFACE. 3 THINK YOU CALL IT. IT’S ABOUT MIDWAY DOWN? 5 Q. ONE BLUE HAND TOWEL? 8 CROSS-SECTION; IS THAT RIGHT? 10 Q. AND IT SAYS RED, ORANGE AND BLUE; IS THAT CORRECT? 18 ANOTHER RED FIBER; IS THAT RIGHT? 26 Q. I’M SORRY, 10 TO 15? 27 A. TEN TO 15 OR MORE. 4 A. NO, I CANNOT. 6 YOU SPOTTED RED, ORANGE AND BLUE FIBERS; IS THAT CORRECT? 12 ACRYLIC FIBER WITH A DOG BONE CROSS-SECTION; IS THAT CORRECT? 14 Q. RED, ORANGE AND BLUE, IS THAT RIGHT? 16 Q. AGAIN, THERE’S A RED FIBER, IS THAT RIGHT? 20 IN THE SECOND COLUMN, AND THEN HOW MANY THAT I FOUND. 1 BONE — YEAH, WITH A DOG BONE CROSS-SECTION; IS THAT RIGHT? 4 NUMEROUS FIBERS INCLUDING RED FIBERS, CORRECT? 12 Q. 6K BEING A PAIR OF DARK SOCKS, RIGHT? 14 Q. 6L A PAIR OF DARK SOCKS, SAME? 17 ON ONE WHITE TOWEL? 26 MR. CLARKE: OBJECTION, MISSTATES THE EVIDENCE. 4 WERE SEVERAL OF — OR THAT WERE UNUSUALLY COLORED. 5 IS RED ONE OF THOSE? 8 THE COURT: NO, SHE HADN’T. 10 THE COURT: CONCLUDE YOUR ANSWER, MA’AM. 13 FIBERS SIMILAR TO WHAT I FOUND IN THE VICTIM’S ENVIRONMENT. 18 THAT SHE HAD BEEN COLLECTED IN? 21 BODY AND FROM RIGHT AROUND THE VICTIM WHERE SHE WAS FOUND. 24 A. FIBERS THAT WERE FOUND IN THE SHEET? 26 A. YES, IT DOES. 28 NO. 2 WOULD BE THE SHEET; IS THAT CORRECT? 1 A. I BELIEVE IT’S ITEM 92? 6 THINK I’M CHANGING REPORTS ON YOU. 7 COUNSEL, IT’S PAGE 7,787. 11 CROSS-SECTION THAT ARE RED AND PINK IN COLOR; IS THAT RIGHT? 13 Q. AND THERE WERE 20 SUCH FIBERS FOUND? 16 ROUND DELUSTERED POLYESTER FIBERS THAT WERE BRIGHT RED IN COLOR? 20 APIECE; IS THAT CORRECT? 21 A. YES. THAT IS CORRECT. 23 SIGN OR AN APPROXIMATE SIGN. CAN YOU PLEASE TELL ME? 24 A. THAT’S AN APPROXIMATE SIGN. 27 SO FAR, IS THAT RIGHT? 28 A. YES. THAT’S CORRECT. 5 Q. I’M SWITCHING BACK TO YOUR OTHER CHART. 13 Q. RED IN COLOR? 16 POLYESTER FIBER, IS THAT RIGHT? 19 RED COLOR RAYON MULTILOBED FIBER OR FIBERS, IS THAT RIGHT? 22 NUMBER OF BRIGHT RED COLORED FIBERS YOU FOUND? 24 Q. AGAIN, WHAT NUMBER DID YOU MEAN TO COMMUNICATE? 25 A. AT LEAST TEN IF NOT MORE. 1 PARTICULAR FIBER, IS THAT RIGHT? 8 THE EXHIBITS THAT ARE DEPICTED ON 45? 14 WERE SIMILAR IN ALL THE WAYS THAT I COULD TEST. 15 Q. SO IN OTHER WORDS THAT’S AN EXCLUSION, ISN’T IT? 16 MR. CLARKE: EXCUSE ME, OBJECTION VAGUE. 22 THOSE YOU LOCATED BOTH ON DANIELLE VAN DAM AND FROM THE SHEET? 26 SOMETHING SQUARED AWAY HERE. 1 HAIR ANALYSIS, IS THAT RIGHT? 5 THEY WERE HERSELF, MEANING DANIELLE VAN DAM’S. 6 A. I SAID THEY WERE CONSISTENT WITH HERS, YES. 9 HAIR, ISN’T THAT TRUE? 11 Q. YOU HAD THE HAIR STANDARDS TAKEN FROM MR.
12 WESTERFIELD TO COMPARE AGAINST, ISN’T THAT TRUE? 16 UNDERNEATH THE VICTIM’S BODY,” IS THAT RIGHT? 19 THAT WE’VE HEARD TESTIMONY ABOUT FROM THE ARMPIT AREA? 20 A. IT’S A DIFFERENT HAIR. 21 Q. YOU EVALUATED THIS PARTICULAR HAIR AND EXCLUDED MR.
22 WESTERFIELD AS THE DONOR; ISN’T THAT CORRECT? 27 Q. DID YOU COMPARE IT AGAINST ANYBODY ELSE? 3 YOU SHOW IT AS? 5 THAT I COLLECTED IT FROM, IS THAT WHAT YOU’RE ASKING? 9 A. YES. I’D HAVE TO SEE WHAT THAT IS. 12 WITH OTHER TRACE EVIDENCE COLLECTED AS ITEM T. E.-J. S.5. 18 PROBABLY ANOTHER ONE OR TWO? 22 A. 850125 IS THE NUMBER. 25 HONOR, SHOWN IT TO COUNSEL. 27 TO ITEM 106. IT SAYS “DARK SHORT HAIR FROM THE VICTIM’S BODY”? 1 Q. IS THAT THE HAIR TO WHICH YOU’RE MAKING REFERENCE? 3 Q. DO YOU KNOW — DID SOMEBODY EVALUATE 106? 5 Q. YOU EVALUATED 106? 8 BEEN TALKING TO YOU ABOUT, RIGHT? 16 Q. IT WASN’T A MATCH, WAS IT? 19 MR. WESTERFIELD’S STANDARD SINCE IT WAS SIMILAR TO THE VICTIM’S. 22 YOU’RE MAKING REFERENCE TO? DARK BROWN? 28 LIGHTER AND LIGHTER BROWN TO BLOND. 1 Q. DO YOU HAVE A REPORT OF THAT ON YOU? 2 MR. CLARKE: I DON’T THINK THE WITNESS HAD FINISHED. 3 THE COURT: FINISH YOUR ANSWER, PLEASE. 6 BUT I’M THE ONE THAT ACTUALLY EVALUATED THE HAIR. 9 Q. DID YOU HAVE A REPORT THAT SHOWS THAT? 13 Q. WHERE IN YOUR NOTES? 16 Q. WELL — COUNSEL. 22 MARKED ITEM 106, RIGHT? 24 Q. THIS REPORT WAS SIGNED BY YOU? 1 Q. WELL, WHO WAS THE CRIMINALIST THAT COLLECTED IT? 3 SPECIALIST BUT I DON’T KNOW THAT. 6 WHICH IS PROBABLY SLOPPY. 7 WHAT DO YOU MEAN BY FORENSIC CRIMINALIST PLEASE? 8 I’M SORRY, FORENSIC SPECIALIST? 12 THE FORENSIC SPECIALIST — EXCUSE ME, THE HAIR. 17 LET ME WITHDRAW THAT. 23 ORIGINATED FROM EITHER A BLANKET OR A SWEATER”; IS THAT CORRECT? 25 Q. AT SOME POINT YOU EVALUATED AN AFGHAN, DID YOU NOT? 2 OR A STORAGE PLACE IN POWAY OUT OF ONE OF THE BOXES. 4 WESTERFIELD, IS THAT RIGHT? 11 EVALUATING THAT PARTICULAR AFGHAN? 12 A. NOT TOO MUCH TIME, A FEW DAYS. 14 A. A FEW DAYS. 15 Q. THAT’S NOT TOO MUCH TIME? 16 A. NO, NOT TOO MUCH TIME. 20 DONOR OF ANY OF THOSE FIBERS, CORRECT? 23 LAUNDRY OR FROM THE VICTIM’S NECK. 3 WAS TANGLED ON THE NECKLACE. 4 Q. HOW LONG COULD THAT FIBER HAVE BEEN THERE? 11 PLACED WHERE IT WAS FOUND. 12 Q. ARE YOU GUESSING? 13 A. I THINK THAT IS A REASONABLE INTERPRETATION. 16 DANIELLE HADN’T BEEN MOVING FOR A WHILE? 17 A. SHE HADN’T BEEN MOVED? THAT CERTAINLY IS POSSIBLE. 19 FOR TEN DAYS, IT COULD STAY THERE, COULDN’T IT? 20 MR. CLARKE: OBJECTION, ASSUMES FACTS NOT IN EVIDENCE. 22 YOU NEED NOT ANSWER. 27 THE 16TH AND FEBRUARY THE 18TH. 3 BODY. COULD THE FIBER HAVE BEEN THERE? 4 MR. CLARKE: OBJECTION, ASSUMES FACTS NOT IN EVIDENCE. 9 WHERE ULTIMATELY YOU IDENTIFIED IT? 10 MR. CLARKE: SAME OBJECTION. 12 YOU MAY ANSWER THAT, IF YOU KNOW. 16 ATTACHED THROUGH THAT TIME. 2 Q. FOR INSTANCE, NUMEROUS WHITE COLORED FIBERS? 6 A. YES. THERE WERE SOME ADDITIONAL ORANGE FIBERS. 8 NOT, BETWEEN A LIGHT ORANGE FIBER OR MAYBE A LIGHT ORANGE FIBER? 10 LIGHT. I WOULD MAKE THAT DISTINCTION. 12 DISTINCTION, DID YOU NOT? 15 ENVIRONMENT, PURPLE COLORED FIBERS? 17 Q. BLUE COLORED FIBERS? 19 Q. GRAY-BLUE COLORED FIBERS? 23 Q. WHERE DID THEY COME FROM? 24 A. WHERE DID I COLLECT THEM FROM? 25 Q. NO, WHERE DID THE FIBERS COME FROM? 4 DID YOU GO TO THE RECOVERY SCENE? 6 Q. YOU DON’T KNOW WHETHER IT WAS A DUMP SITE OR NOT? 8 Q. SEEN PHOTOS OF THE RECOVERY SITE? 9 A. I DON’T THINK SO. 12 ON THE GROUND, RIGHT? 16 HAPPENS TO LAND ON WHEREVER THERE’S MOISTURE? 20 MR. CLARKE: OBJECTION, LACK OF FOUNDATION. 25 THE COURT: SHE CAN ANSWER THAT YES OR NO. 8 ENVIRONMENTS THAT DANIELLE WAS IN, IS THAT RIGHT? 12 A. I CAN’T ACCOUNT FOR THEM. 15 A. I CANNOT ACCOUNT FOR THEM. 16 Q. OR RED OR PINK COLORED FIBERS? 17 A. I CANNOT ACCOUNT FOR THEM. 20 NUMBER WAS, YOU CAN’T ACCOUNT WHERE THEY COME FROM EITHER? 21 A. THAT I CAN. 25 AND SEVERAL BLUE FIBERS WERE ACRYLIC. 26 Q. AND THEY ALL HAVE A DOG BONE CROSS-SECTION? 27 A. THEY ALL HAVE SIMILAR CROSS-SECTION, YES. 1 WERE A DIFFERENT TYPE. 2 Q. DID YOU GO TO THE VAN DAM ENVIRONMENT? 5 AGAINST THE VAN DAMS, IS THAT A FAIR STATEMENT? 7 MR. FELDMAN: YOUR HONOR, PLEASE A MOMENT. 11 ANY OF YOUR MICROSCOPIC EVALUATIONS OF THE FIBERS? 12 A. I’M SORRY, I DON’T UNDERSTAND WHAT YOU’RE ASKING. 14 THAT YOU WERE EVALUATING CONTAINED POLYESTER? 18 POLYESTER FIBERS, ISN’T THAT RIGHT? 21 TO SEE WHETHER OR NOT THEY COULD HAVE SHARED A COMMON SOURCE? 26 ITEMS TO SEE IF THEY WERE SIMILAR. 28 A. YES, I DID THAT. 2 THAT CAME FROM A VARIETY OF DIFFERENT LOCATIONS OR SOURCES? 4 WERE FOUND ON SEVERAL DIFFERENT THINGS FROM HER. 7 FROM THE VAN DAM RECOVERY SCENE, IS THAT RIGHT? 18 Q. WHEN YOU USE THE WORD “SEVERAL” — THANK YOU. 21 A. MORE THAN FIVE. 24 SEPARATE TYPES OF FIBERS WERE LOCATED? 27 HAVE EASILY EACH SOURCED FROM A DIFFERENT LOCATION? 28 A. OR A DIFFERENT ITEM ANYWAY. 4 WERE PRESENT AT THE RECOVERY SCENE, IS THAT RIGHT? 5 A. THAT CERTAINLY IS POSSIBLE, YES. 7 SWITCHING ON YOU — ITEMS FROM THE TOYOTA 4-RUNNER? 8 MR. CLARKE: OBJECTION, BEYOND THE SCOPE. 10 MR. FELDMAN: I WANT A SIDE BAR. 12 THE 6TH, IS THAT RIGHT? 14 Q. DID THAT REFLECT YOUR LAST WORK ON THE CASE? 17 WITH YOUR WORK, RIGHT? 20 WITHIN YOUR ORGANIZATION, IS THAT RIGHT? 23 GOES THROUGH WHATEVER YOU DO AND CLEARS ADMINISTRATIVE REVIEW? 27 INFERENCES, IS THAT RIGHT, IN TERMS OF IDENTIFICATION? 28 A. MORE CHARACTERISTICS I HAVE TO COMPARE, MORE ITEMS? 6 CASE OR MR. WESTERFIELD? 9 WERE THE TIME CONSTRAINTS YOU WERE REFERRING TO? 13 Q. BUT IT’S 19 DAYS LATER? 14 A. IT IS 19 DAYS LATER. 18 RAN OUT OF TIME. 20 WORKING VIRTUALLY FULL-TIME ON THIS CASE? 22 THE MAJORITY OF MY TIME. 24 ENVIRONMENT, ISN’T THAT RIGHT, ON DIRECT? 27 TRACE EVIDENCE, IS THAT RIGHT? 28 A. I WAS THERE SPECIFICALLY TO PROCESS MR.
1 WESTERFIELD’S SHOES FOR TRACE EVIDENCE. 2 Q. AND DID YOU DO SO? 5 SHOES ANY EVIDENCE OF THE VAN DAM ENVIRONMENT? 6 A. NO I DID NOT. 7 MR. FELDMAN: NO FURTHER QUESTIONS. 8 THE COURT: ANYTHING FURTHER, MR. CLARKE? 9 MR. CLARKE: YES. THANK YOU, YOUR HONOR. 14 TYPES OF ITEMS THAT TYPE OF FIBER COULD BE FOUND IN? 17 FUZZY SWEATER OR SOMETHING. 18 Q. SO YOU SAID BECAUSE OF THE LENGTH OF THE ITEM? 21 IN THE TYPE OF ITEM THAT IT COULD BE USED IN? 3 IS THAT SOMETHING THAT’S EASILY SHED OR NOT? 4 A. YES, IT IS EASILY SHED. 5 Q. IS IT A FIBER THAT’S EASILY TRANSFERRED? 8 IF ANY, DOES COLOR HAVE? 14 PEOPLE AROUND YOU. ORANGE IS NOT JUST THAT COMMON OF A COLOR. 15 SO WHEN YOU FIND AN ORANGE FIBER IT’S A LITTLE MORE MEANINGFUL. 18 THE SCALE OR WHERE, YOU TELL ME? 19 A. IT WOULD BE AT THE LESS COMMON END OF THE SCALE. 20 Q. I THINK YOU JUST SAID ARE RED FIBERS COMMON? 22 Q. IN LOTS OF DIFFERENT TYPES OF FIBERS? 4 DIFFERENT BACKDROPS OR SURFACES? 9 A. THE SHEET IN THIS PARTICULAR CASE WAS WHITE. 12 OF HOW A HAIR APPEARS TO THE NAKED EYE IN TERMS OF COLOR? 18 IF THAT’S WHAT YOU’RE REFERRING TO. 22 NECKLACE TO THE JURY? 24 Q. WHAT BACKGROUND COLOR DID WE USE? 28 NECKLACE A LITTLE MORE CLEARLY. 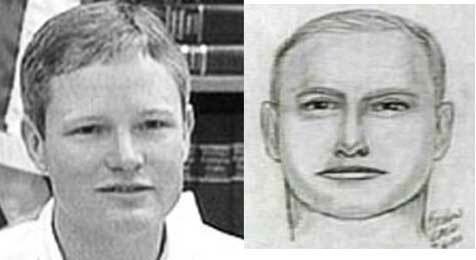 3 THE VICTIM AND MR. WESTERFIELD, CORRECT? 5 Q. TO YOUR KNOWLEDGE, WHERE WAS THAT FOUND? 9 IT, LOOKED FOR TRACE EVIDENCE, I FOUND THAT HAIR. 10 Q. SO THAT HAIR WASN’T FOUND ON THE BODY? 12 Q. IT WAS ACTUALLY IN THE SOIL? 17 YOU HAD OR HADN’T SEEN PHOTOGRAPHS OF THAT SITE? 18 A. I HAVE NOT. 20 OTHER WORDS, HAD TRASH? 21 A. NO, I DON’T. 24 BEING A POTENTIAL SOURCE OF THE ORANGE ACRYLIC FIBERS? 27 THOSE ORANGE ACRYLIC FIBERS OR NOT? 6 Q. ARE AFGHANS EVER KNITTED BY PEOPLE? 7 A. I WOULD THINK GENERALLY THEY ARE. 10 KNITTED BY THE PERSON OR ARE DIFFERENT YARNS USED? 11 MR. FELDMAN: OBJECTION, IRRELEVANT. 18 THEY TEND TO SHED EASILY. 22 FOUND MORE THAN ANY OTHER COLOR AND TYPE OF FIBER? 23 A. AS FAR AS ALL THE LOCATIONS THAT I EXAMINED? 26 Q. WHAT WAS THAT? 28 THE DEFENDANT’S HOME WAS THE MORE PREVALENT FIBER THAT I FOUND. 1 MR. CLARKE: YOUR HONOR, I HAVE A FEW MORE QUESTIONS. 3 WE BREAK FOR LUNCH. 7 DISTANCE MANY MILES AWAY? 10 THE WITNESS: I WOULD THINK NO. 15 SPRINGS AREA OF SAN DIEGO? 19 DIEGO AROUND THE AREA OF THE SINGING HILLS GOLF COURSE? 22 BLOWN BY THE WIND FROM SABRE SPRINGS TO THE SINGING GOLF AREA? 24 THE COURT: SUSTAINED. YOU NEED NOT ANSWER. 28 DID YOU EXAMINE THE TAPE LIFTS FROM THOSE SHOES? 7 CLOSET WHERE YOU TAPE LIFTED THOSE SHOES FROM? 12 13TH IN THE EVENING. 14 FIBERS THAT MAY BE ON A SHOE? 16 Q. AND THAT’S JUST PART OF NORMAL ACTIVITY? 20 THE COURT: ANYTHING FURTHER, MR. FELDMAN? 26 NOTE, ISN’T THAT RIGHT? 2 SPECIAL FIBERS OF NOTE, ISN’T THAT CORRECT? 7 Q. BRIGHT RED LONG ACRYLIC FIBERS, CORRECT? 9 Q. LIGHT BLUE LONG ACRYLIC FIBERS, CORRECT? 11 Q. BRIGHT RED RAYON FIBERS? 13 Q. WELL, I THINK MEDIUM BLUE DELUSTERED NYLON FIBERS? 15 Q. I CAN SHOW YOUR NOTES IF YOU’RE NOT SURE. 16 A. I’LL HAVE TO CHECK THE LAST COLOR. 17 Q. 10.245. I GOT IT HIGHLIGHTED. 22 Q. WHY DID YOU CALL THESE SPECIAL FIBERS OF NOTE? 28 A COMBINATION OF THE TWO THAT MADE ‘EM SIGNIFICANT. 2 FROM ITEMS 5, 6, 7, 9, 16, 92, 93 AND OTHERS, IS THAT RIGHT? 4 FIBERS IN ALL THOSE AREAS. 7 FIBERS ON THE TAPE LIFTS, RIGHT? 12 Q. LONG BLUE FIBERS WERE COLLECTED FOR ANALYSIS? 15 WHITE FIBERS WERE NOTED ON YOUR TAPE LIFTS; IS THAT CORRECT? 20 WHERE YOU’RE LOOKING SO I CAN MAKE SURE THAT THAT’S CORRECT. 21 Q. I’M JUST READING. 23 NOTED, IS THAT RIGHT? 25 Q. LONG RED FIBERS? 27 Q. SHINY RED FIBERS? 28 A. YES, THAT ACTUALLY IS AN “X”. 1 Q. OKAY. LONG ORANGE FIBERS? 4 ANALYSIS, IS THAT RIGHT? 11 FROM VICTIM’S CLOTHES, IS THAT RIGHT? 17 FIBERS THAT WERE TAKEN FROM DANIELLE’S ENVIRONMENT. 18 Q. ARE BLUE EMERALD GREEN FIBERS COMMON? 20 Q. DID YOU NOTICE BRILLIANT EMERALD GREEN FIBERS? 22 PARTICULARLY ON THE SHEET FROM THE VICTIM. 23 MR. FELDMAN: THANK YOU VERY MUCH. 1 THE WITNESS: THANK YOU VERY MUCH. 2 THE COURT: THANK YOU FOR COMING IN. 4 AHEAD AND TAKE THE LUNCH BREAK. 8 IT IS SUBMITTED TO YOU FOR DECISION. HAVE A PLEASANT LUNCH. 9 WE’LL SEE YOU OUTSIDE THE COURT AT 1:30. HALF PAST 1:00 PLEASE. 14 ALTERNATES HAVE LEFT THE COURTROOM. 16 1:30. WE NEED TO DISCUSS A MATTER. ALL RIGHT. 19 THE COURT: YES. WE’LL BE IN RECESS UNTIL 1:25.